The electrifying sequel to Caves of Steel in which Elijah Baley is once more teemed up with R. Daneel. 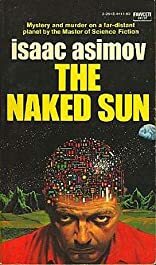 The two must travel to Solaria, where no human has gone in over a thousand years...Reacting in fear against the technological superiority of the Outer Worlds, the people of Earth have hidden themselves in vast underground cities, nursing a hatred for Spacers. The fifty Outer Worlds of the Spacers together are home to fewer people than planet Earth. And home to many, many more robots. Earthmen hate Spacer robots, too...But Baley doesn't. He once had a robot partner, R. Daneel - and when the authorities of the planet Solaria request terrestrial assistance in investigating a murder, Baley is once again teamed with Daneel. 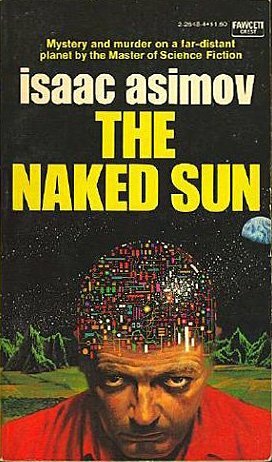 He is the first Earthman in a millennium to travel to the Outer Worlds...and he must endure the glare of a sun far more deadly than Earth's.